I’ve written many words on these pages and elsewhere about the work of Julian Calverley — it’s a true pleasure to now be introducing you to his imminent show at Gallery 1066. We first worked together in October 2010, which I wrote about at the time. Since then, Julian and I have made many more prints together as his success in the world of edition printing gathers momentum. Working with Julian is a real opportunity for us both to revel in the current capabilities of digital photographic practice. You may remember that he works with one of the finest cameras around, made by Alpa of Switzerland, which he currently uses in conjunction with the very latest in single capture technology — the Phase One IQ180. This is an 80 megapixel digital back, which produces a 16bit single capture of around 450MB — when making many of the large prints for Julian, I often have to reduce the files produced from this camera! 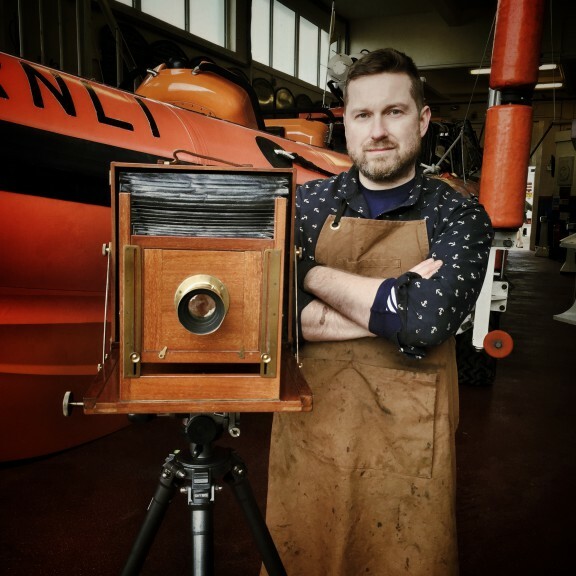 “Julian Calverley has been creating imagery in one form or another since he was old enough to hold a paint brush. “Born in Hertfordshire in 1964, he very quickly demonstrated a love and natural talent for drawing and painting, in particular watercolour landscape work. “After a brief and uninspiring spell at art college, Julian realised it was the mix of photography and traditional darkroom skills that would allow him to express himself most effectively. “The next few years saw experience gained with various studios and in 1988, at 24 years old, Julian set up his first studio and darkroom. 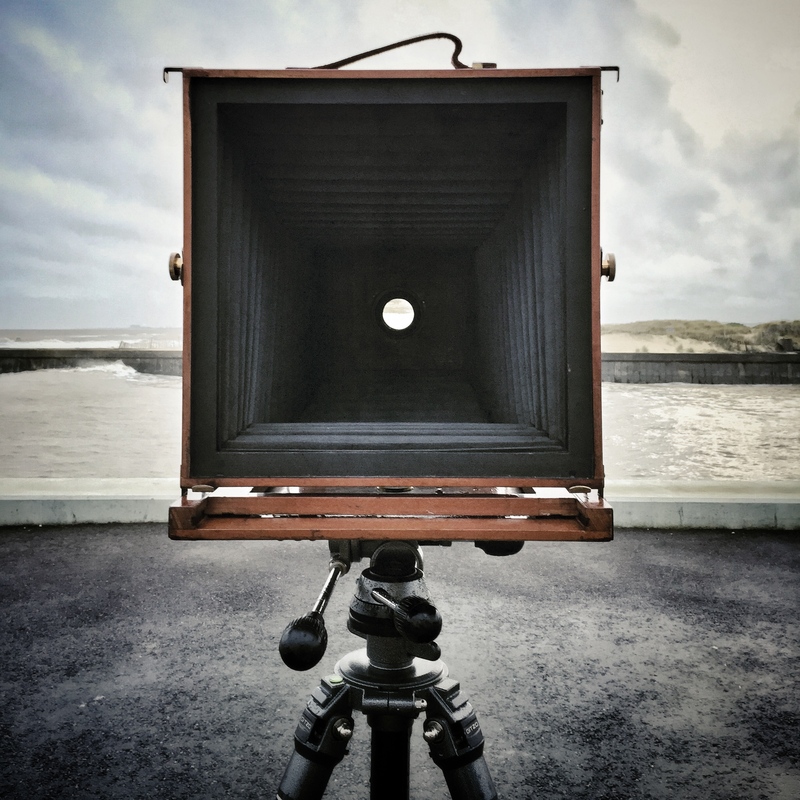 Wayne Ford has also written a wonderful blog post on Julian’s work entitled, The Theatrical Sonnets of the British Landscape Photographer Julian Calverley. If you haven’t seen Wayne’s blog yet, do pay it a visit — he has nurtured it into the ultimate photography archive. I don’t often get to see the prints I make in their final destination, so I can’t wait to make the journey south next week to Baldock and see the framed pieces on the wall. The show runs from 20th April to 3rd May, full details are listed here. Julian at work, complete with his famous storm umbrella! Following on from my post last Friday, I thought you might like a glimpse into some prints I am making for Julian Calverley’s portfolio. On this Friday morning, I find it difficult to think of a more pleasant way to end the week than to show you the work contained within this missive, Blog Post 88. I have known Julian Calverley for many years and it has been a true pleasure to work with him on a more regular basis of late. A post in October last year described an enjoyable couple of days working together in my studio. Rather than ramble on, I’ll defer further communication to the imagery. The first two photographs, below, form the beginnings of Julian’s new project, North Northwest. Following those are details I captured of the four Archival Pigment Prints I made for Julian this week.